As a baker, I can honestly say that one of my favorite things to make is pie crust. There's something so organic and delicate about cutting butter into flour and then saturating it with just enough ice-cold water to form the perfect lump of dough for making pie. 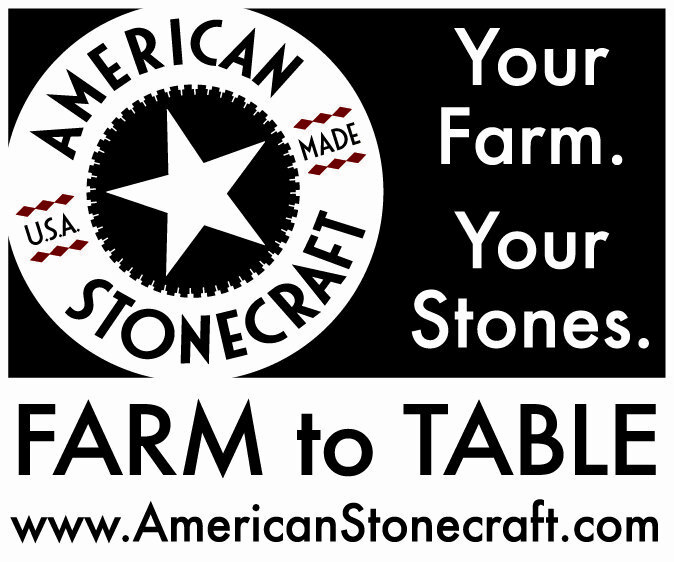 It's a skill that dates back to our very roots, but sadly all too many people are taking shortcuts these days, purchasing store-bought crust, and oftentimes not even bothering to make rustic pies from scratch anymore. I enjoy making anything from scratch, but there is definitely a special place in my heart for pie. It's comforting to its core, whether it begins with a traditional crust, or perhaps one made of crushed graham crackers or cookies. It's universally satisfying, whether filled with chunks of fruit or custard. There is a pie for every occasion and every craving. 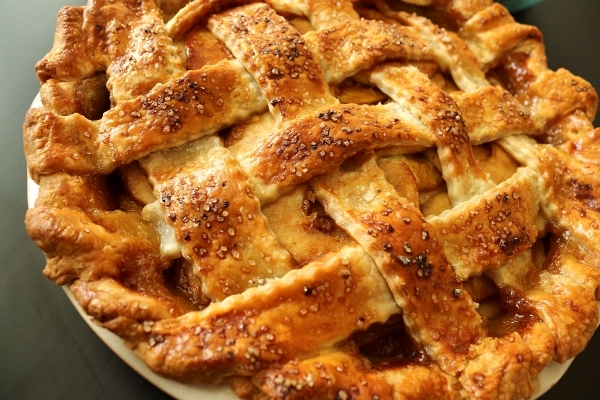 Pie should be celebrated (actually, it is on March 14th!). I recently received a copy of The Four & Twenty Blackbirds Pie Book from the generous folks at Grand Central Life & Style. It features "Uncommon Recipes from the Celebrated Brooklyn Pie Shop" owned and operated by sisters Emily and Melissa Elsen. 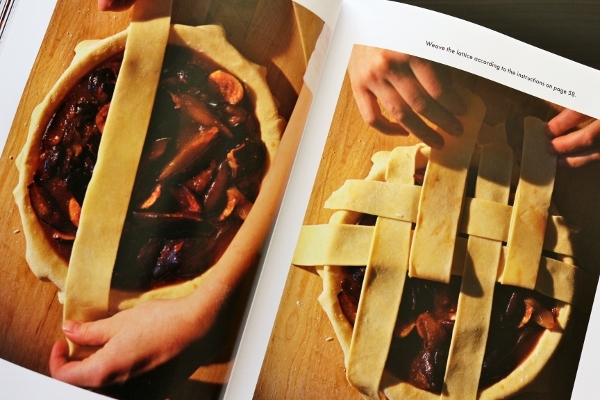 With pie recipes appropriately separated by season, the book begins with look at the history of the shop, and many tips and techniques (and step-by-step photos) for assembling and baking the perfect pies. In fact the illustrations for cutting and weaving a lattice crust is one of the most comprehensive I've seen. My only qualm about this section is that although it's very thorough, it does not discuss any of the special crimps or braids that are used to decorate many of the pies in the book's photos. The pie recipes simply state to "arrange the lattice or pastry round on top and crimp as desired" without any further details for thinking outside of the box. One can mimic the photos, but a little direction wouldn't hurt. 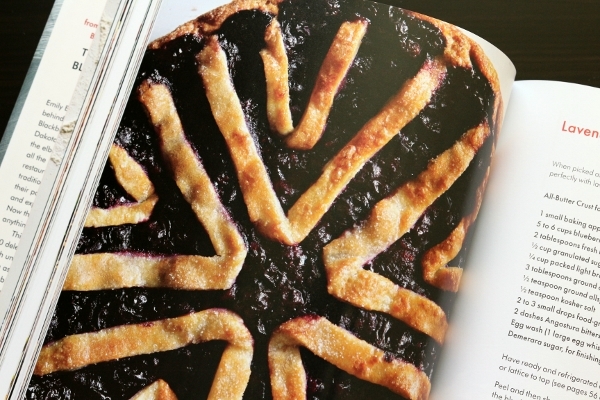 For a book that prides itself on it's unique pie recipes, and includes gorgeous photographs, I really wish they had included a few extra notes about additional crimping techniques. 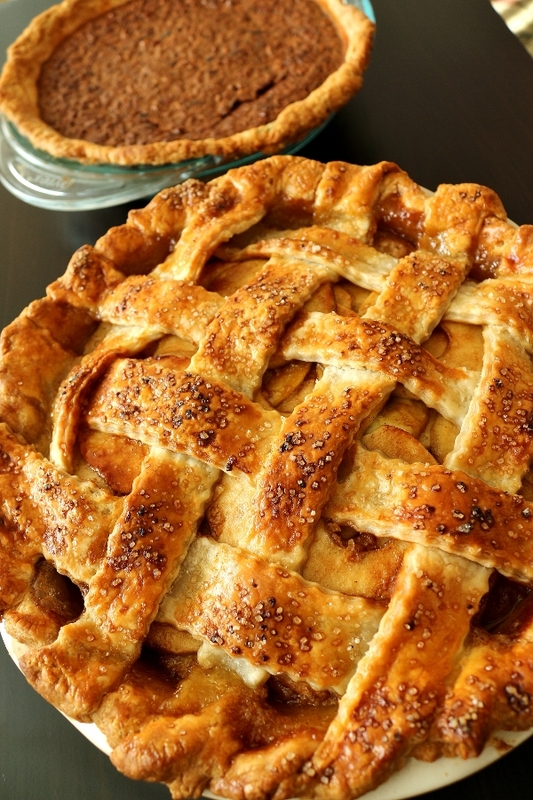 Lucky for us, my friend Libbie Summers has shared some of her favorite pie crust designs in a recent post on Relish, including a great video too. With that aside, I think this is a great book featuring pies in all their glory! Even the most simple pies are elevated with little secrets that set them apart from all the rest. 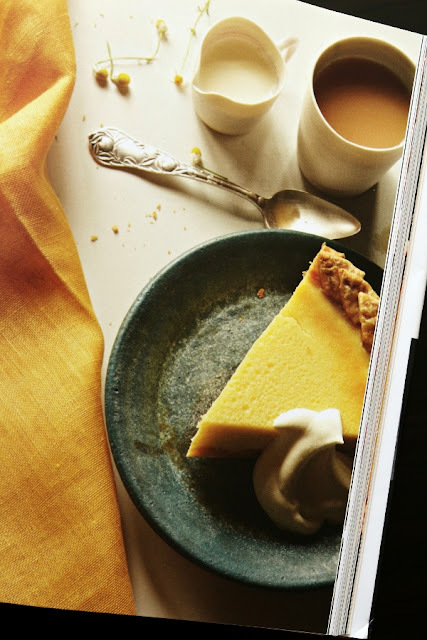 The book starts with Spring and includes delicious twists like Strawberry Balsamic Pie and Chamomile Buttermilk Custard Pie. Spring makes way too Summer with treats like Sweet Corn Custard Pie and Lavender Blueberry Pie. 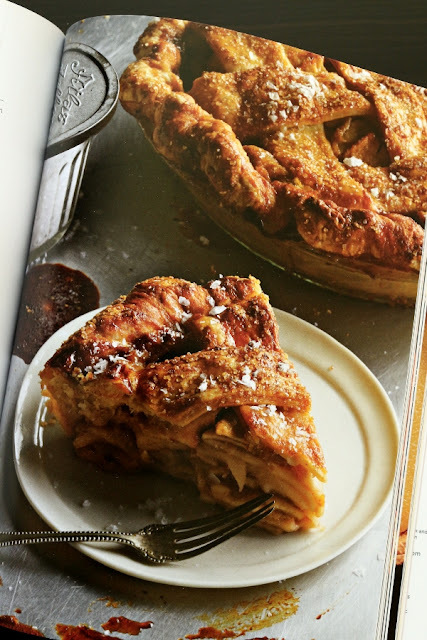 Fall may be one of my favorite chapters, featuring creations such as Salted Caramel Apple Pie, Maple Buttermilk Custard Pie, and Black Bottom Oatmeal Pie (three of my many considerations for Thanksgiving this year). 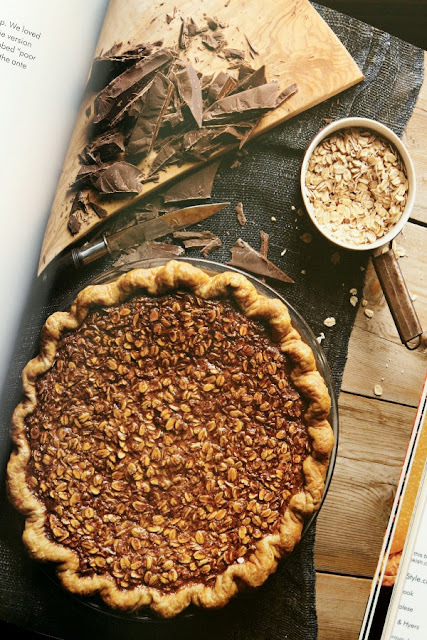 Some others that peaked my interest for the holiday come from the Winter chapter: Cranberry Sage Pie, Junipear Pie, and Malted Chocolate Pecan Pie, among so many others. I was intrigued by the crust recipes in this book, because unlike others I have tried in the past they include a bit of cider vinegar. The crust I typically make is a neutral all-butter crust that doesn't contain any sugar. 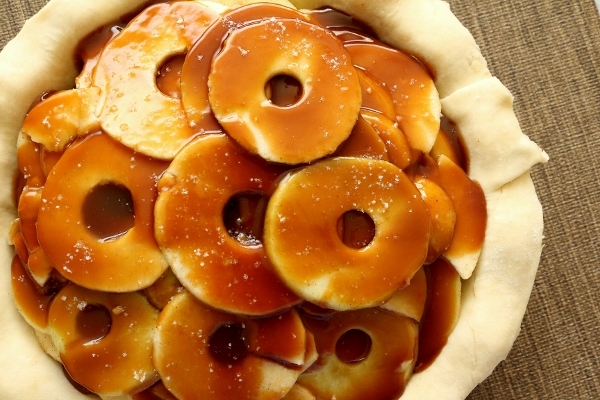 It's great for sweet and savory pies alike. I recently made a lovely apple pie from Gramercy Tavern with a butter and shortening crust and it was super flaky as well. I have heard that vinegar helps create tenderness and a bit of tang in the dough. The crusts in this book also include a bit of sugar, which is different from my norm, so my curious nature was excited to try something new and see how it compares. In a perfect world, I would really need to create several of the same pies using all different crusts to really determine side-by-side which I prefer. I must say, I found it a lot easier to roll out the dough containing vinegar compared to those without. The dough seemed to crack less and simply rolled out more smoothly, and I didn't have to let it sit out to soften before I did so. The flavor was fantastic (I do love all-butter crusts, not gonna lie) and it was every bit as flaky as I'd hoped. 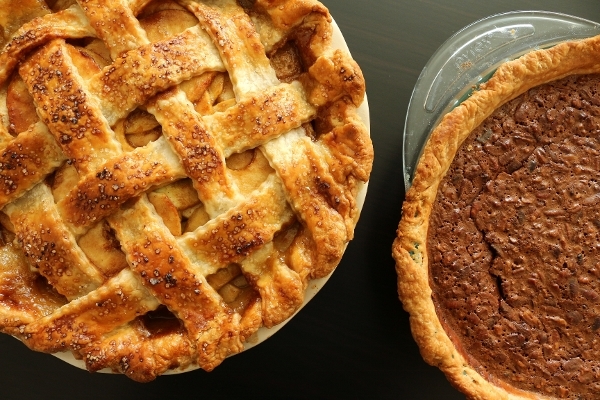 My selection of pies for Thanksgiving included the Salted Caramel Apple Pie and the Malted Chocolate Pecan Pie, both twists on classic Thanksgiving staples. The Salted Caramel Apple Pie certainly required more of my time, between making the caramel, peeling, coring, and thinly slicing the apples, dredging the slices individually in lemon juice, straining, mixing, layering apple slices one by one, and then finally taking the time to create a beautiful lattice on top. It was a lot of work, but the result was quite lovely. 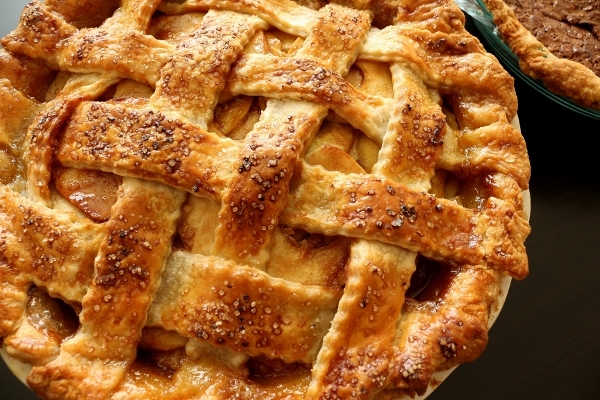 The appearance of the pie with the thinly sliced apples layered oh so perfectly is beautiful compared to a more haphazard look of other pies. Along with the lattice crust, it is one of the prettiest pies I've made. 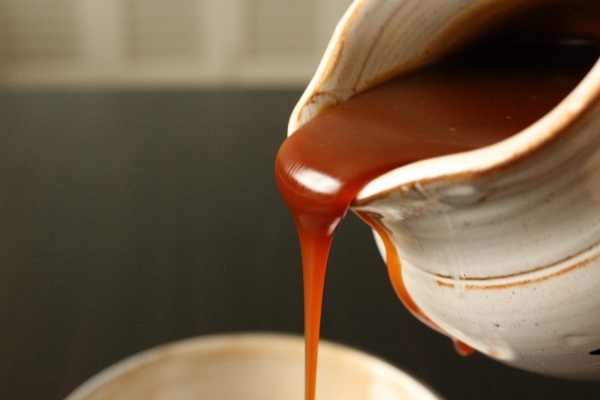 I have to say though, that even after drizzling tons of caramel in there and sprinkling with sea salt (I used Fleur de Sel), I didn't taste as much "salted caramel" as I had envisioned. There is a definite tartness to the pie (certainly due to all the lemon juice in which the apple slices were dredged), but it lacks the pop of sweet and salty flavors I expected. This is not to say whatsoever that the pie was a disappointment. It is incredibly delicious! It was the most popular dessert on the Thanksgiving table! It just didn't scream with the salted caramel flavors I expected. Regardless, I found it to be a stunning dessert, even after all the effort getting the apples just right. 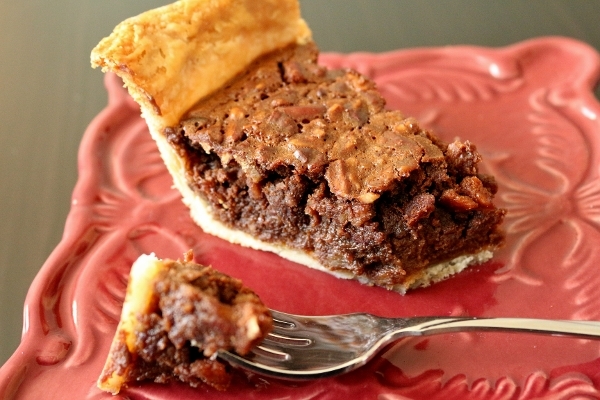 What actually turned out to be my favorite pie of the evening (surprisingly) was the Malted Chocolate Pecan Pie. 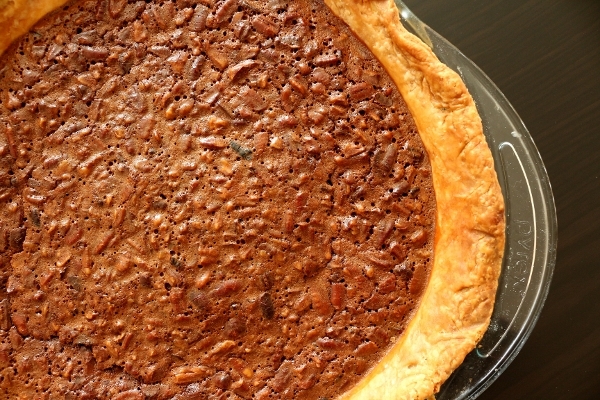 Whereas a typical pecan pie is cloyingly sweet with a sticky and gooey texture, this one is revolutionary. It has a much softer and somewhat creamy bite to it with a bit of tanginess from sour cream, and a great background flavor from the bittersweet chocolate. 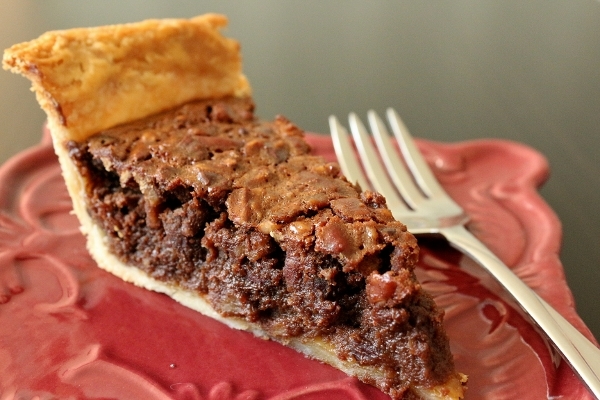 Pecans are aplenty and give this pie a toothsome bite. 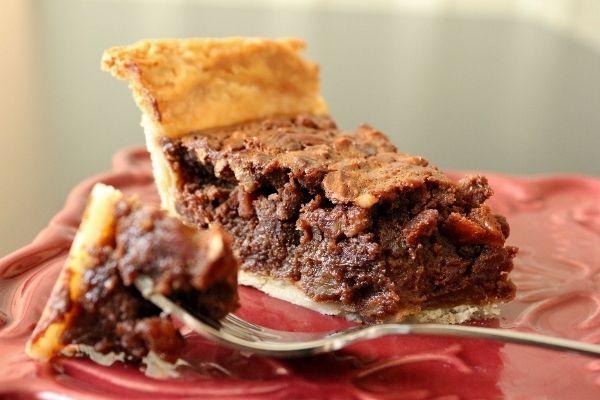 It almost reminds me of a not-too-chocolatey, softer and creamier brownie pie. I only have one 9-inch pie dish (which I used for the apple pie), so I ended up using a 9 1/2-inch pie dish for the pecan pie, giving the filling just a touch too much headroom. The pie dish also lacks a wide rim, so the crimping of my crust became somewhat difficult and basically dissolved over the edges when I pre-baked my shell. Regardless of these minor aesthetic issues, the flavor and texture of this pie is fantastic. And to top it all off, it's really quite simple to make. It requires very little effort compared to the more tedious apple. 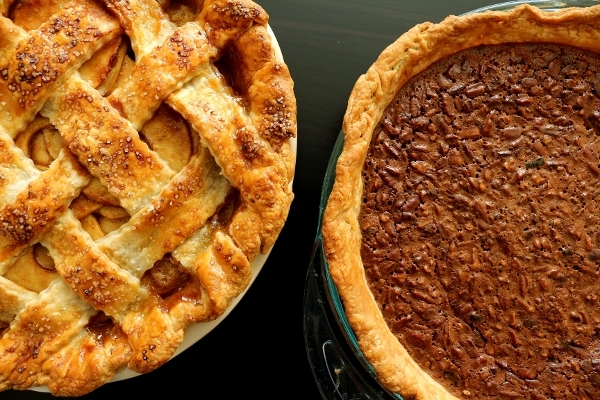 Either of these pies would be perfect for any occasion, especially seasonally. They were fantastic for Thanksgiving, and they would be equally welcome as sweet endings to a Christmas meal. I'm happy to see that these recipes yielded fantastic pies. I'm anxious to try more from this book, especially as the seasons begin to change and new pie-making escapades become easily plausible with fresh, seasonal ingredients. I would happily recommend this cookbook to anyone who enjoys making pies from scratch. The recipes are creative and mouthwatering! This definitely isn't your grandmother's pie book! For the crust: Stir the flour, salt, and sugar together in a large bowl. 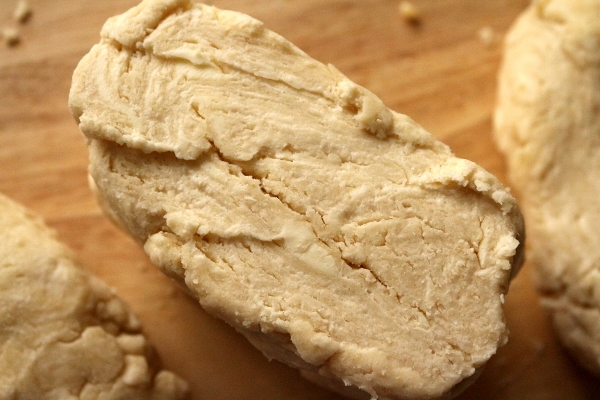 Add the butter pieces and coat with the flour mixture using a bench scraper or spatula. With a pastry blender (or your fingers), cut the butter into the flour mixture, working quickly until mostly pea-size pieces of butter remain (a few larger pieces are okay; be careful not to overblend). Combine the water, cider vinegar, and ice in a large measuring cup or bowl. Sprinkle 2 tablespoons of the ice water mixture over the flour mixture, and mix and cut it in with a bench scraper or spatula until it is fully incorporated. Add more of the ice water mixture, 1 to 2 tablespoons at a time, using the bench scraper or your hands (or both) to mix until the dough comes together in a ball, with some dry bits remaining. Squeeze and pinch with your fingertips to bring all the dough together, sprinkling dry bits with more small drops of the ice water mixture, if necessary, to combine. To partially pre-bake the crust, preheat the oven to 425°F and place baking sheet on a rack on the lowest position. Roll out the dough to 1/8-inch thickness and carefully lay it into a 9-inch pie pan or dish, being careful not to stretch the dough. Trim the edges and crimp as desired. Refrigerate the crust for about 30 minutes to allow it to set. Prick all over the bottom and sides with a fork about 15 to 20 times. Line the crust with a piece of parchment paper and fill it with pie weights or dry beans. 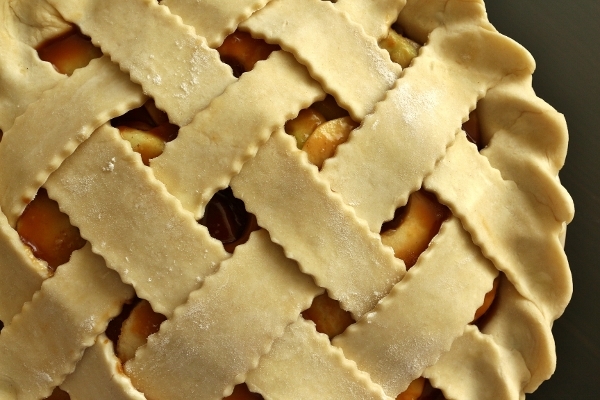 Place the pie on the preheated baking sheet and bake for 20 minutes, until the crimped edges are set but not browned. Remove the pan and the baking sheet from the oven, lift out the parchment and the pie weights and let the crust cool for a minute. Beat together the egg white and water. Use a pastry brush to coat the bottom and sides with a thin layer of egg white glaze to moistureproof the crust. Return the pan, on the baking sheet, to the oven's middle rack and continue baking for 3 more minutes. Remove and cool completely before filling. 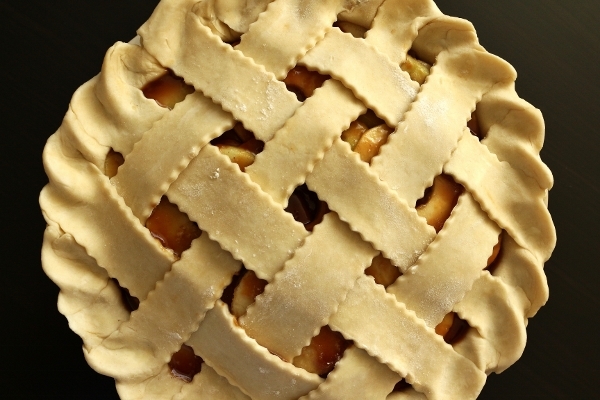 For the pie: Position a rack in the center of the oven and preheat the oven to 350°F. To toast the pecans, spread them in a single layer on a rimmed baking sheet and place in the oven for 6 to 8 minutes, or until the nuts are fragrant, stirring occasionally. Set aside to cool. Place the pre-baked pie shell on a rimmed baking sheet and pour in the filling. Bake on the middle rack of the oven for 52 to 57 minutes, rotating 180 degrees when the edges start to set, about 35 minutes through baking (if the crust browns too quickly, tend the edges with a ring of aluminum foil). The pie is finished when the edges are set and puffed slightly and the center is slightly firm to the touch but still has some wobble (like gelatin). Be careful not to over-bake or the custard can separate; the filling will continue to cook and set after the pie is removed from the oven. Allow to cool completely on a wire rack, 2 to 3 hours. Serve slightly warm or at room temperature. The pie will keep refrigerated for 3 days or at room temperature for 2 days.